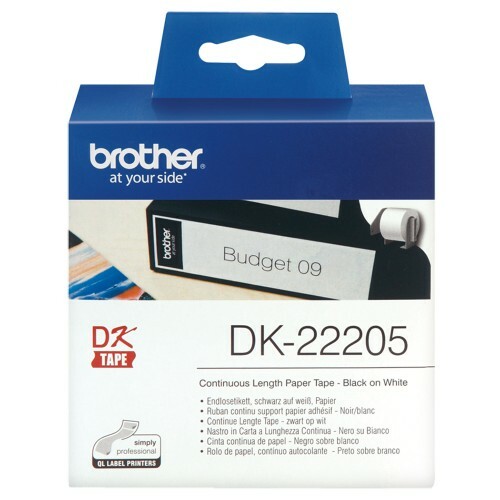 Tags: Brother, Continuous Length, Continuous Length Paper Tape . Type	Standard Address Label	Size29mm x 90mm (1-1/7" x 3-1/2")	Compatible Model	QL-550	QL-570	QL-700QL-720NWQL-800	.. Type	Shipping LabelSize62mm x 100mm (2-3/7" x 4")	Compatible Model	QL-550	QL-570	QL-700QL-720NWQL-800	.. Type	Large Address Label	Size38mm x 90mm (1-1/2" x 3-1/2")	Compatible Model	QL-550	QL-570	QL-700QL-720NWQL-800	.. Type	Small Address Label	Size29mm x 62mm (1-1/7" x 2-3/7")	Compatible Model	QL-550	QL-570	QL-700QL-720NWQL-800	..